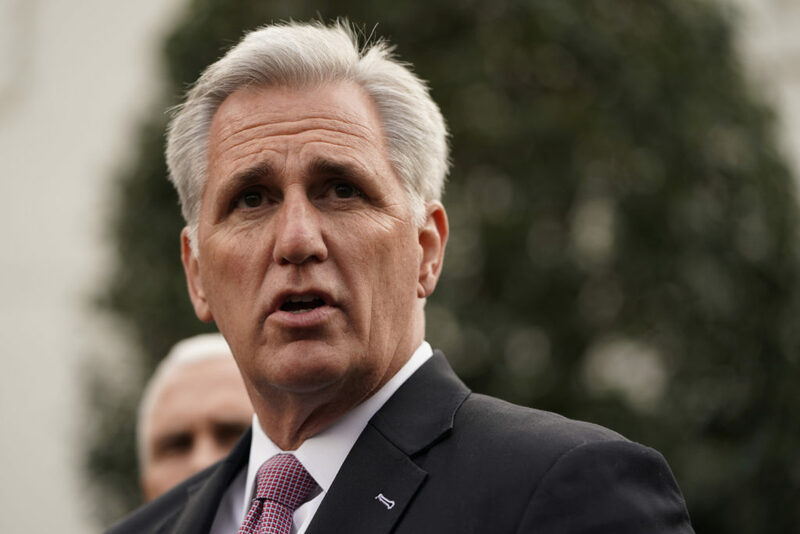 House Minority Leader Kevin McCarthy and other Republican leaders are held a news conference today. Watch their remarks here. No one budged at President Donald Trump's closed-door meeting with congressional leaders, so the partial government shutdown persisted over his demand for billions of dollars to build a wall along the U.S. border with Mexico. They'll all try again Friday. Senators chose Majority Leader Mitch McConnell for another term leading Republicans and Chuck Schumer for Democrats in closed-door party elections Wednesday lacking the high drama underway on the House side in the midterm election fallout. The House Budget Committee will vote next week on the plan, which would spend far more money next year than Trump has proposed.